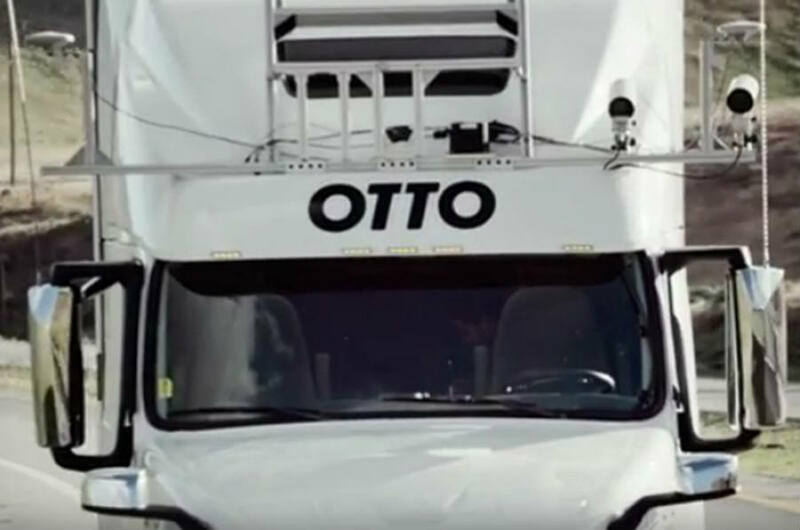 Former Google employees have created Otto, a new tech company that aims at equipping current commercial trucks with self-driving technology. The latest technology could serve useful on highways across the United States. Based in San Francisco, Otto is also formed by prominent figures from Apple, Tesla, Cruise Automation, among others. The forty staffers include Lior Ron and Anthony Levandowski, who used to work for Google on Maps and in the autonomous car team, respectively. Unlike other companies, governments and groups who are conducting experiments with autonomous trucks, the Otto team wants to develop a kit that helps drivers instead of replacing them. The main goal is to make such vehicles as human as possible while taking advantage of the reliability machines have to offer, as Mr. Levandowski told the Associated Press. Otto is also different because it focuses on bringing self-driving technology to existing trucks rather than developing entirely new vehicles. About 9.5 percent of driving fatalities are caused by truck drivers probably due to the fact that the industry changes have led them to experience what the team behind Otto calls a “gradual decline in quality of life”. The new company hopes to reduce the number of deaths caused by truck drivers by, for instance, offering them the possibility to rest while the vehicle drives by its own for brief stretches. Otto also expects to help ease congestion on highways and reduce the high pollution levels caused by large trucks by making their self-driving tech widely available. Moreover, the former Google employees and the entire team are concerned about the consequences triggered by the growth of the shipping and transportation industry as human needs change. This is why they are thinking about being able to help fill the projected shortage of truck drivers needed. The company is already conducting tests and working on development of its kit as it hopes to attract significant investment, but there is a series of things that the firm must also take into account before thinking about releasing the technology. All 50 states must regulate and approve Otto’s self-driving technology before it hits highways in the U.S. Fully autonomous cars are already allowed on some roads and other states require companies to have a human driver on board to be always alert to take control in case of imminent accidents. Drivers across the country must keep in mind that Otto’s kit will be developed to help them, not to replace them. Humans will have to be behind the wheel and take control as soon as an Otto-driven truck leaves a main highway. The consequences of an accident related to a truck with 80,000 pounds of cargo would be catastrophic. Based on estimations by Otto’s leaders, the kit will cost truck owners around $30,000, as reported by Wired. The technology will be compatible with any truck built after 2013.